I purchased the Wismec Luxotic DF box from Sourcemore.com. You can get it from their site for $53 (affiliate) or get it directly from Wismec for around $67 (affiliate). 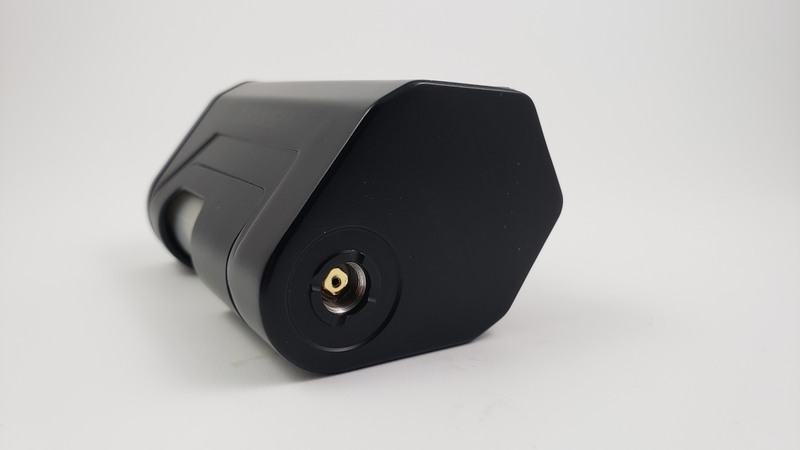 This is a dual 18650 squonk device that pushes 200 watts. 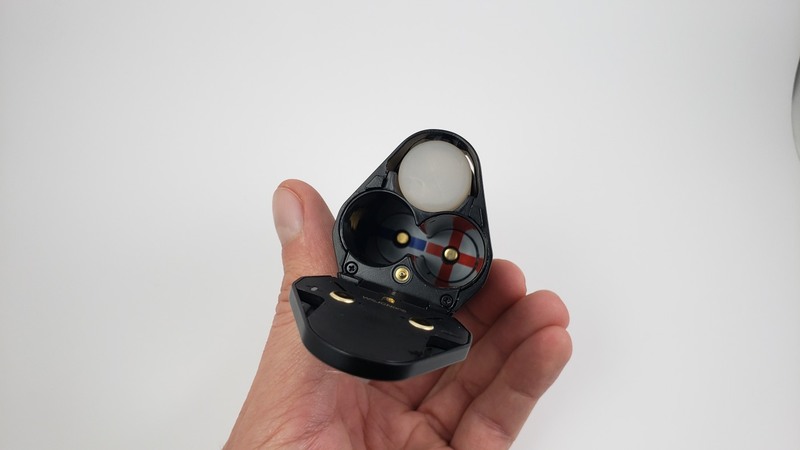 There aren’t many dual battery squonkers on the market so this is an interesting product. I actually have one of the earliest, if not the first dual battery regulated squonk devices, the Kangertech Dripbox 160, which came out around July 2016. I absolutely love it and still use it sometimes, but I think it was a little ahead of its time. Squonking wasn’t nearly as popular then as it is today and the Dripbox 160 was really big. Not any bigger than the Luxotic DF or any other dual battery squonker, but it was a different time and I think people just didn’t want something so big. If your familiar with most other dual battery squonk devices or even Wismec’s own Reuleux series devices, you’ll be familiar with this. It’s big and bulky, but it’s also about as small as something like this can be. I really like the big firing button on the front. It makes using the Luxotic DF very easy. You don’t have to try to get your finger in the right place because it just lands on that button. I like it a lot. The Luxotic DF uses a new chip from Wismec called the Avatar chip. They say that it has faster firing speed. I don’t know how it compares to other Wismec devices because I don’t have one, but I would say that fires pretty fast. Not the fastest I’ve seen, but pretty fast. The screen is a 1.3 inch OLED. It’s a very nice, bright, and crisp screen. You have a couple of modes outside of the main features; stealth mode and key lock. To turn on stealth mode, you hold the fire button and negative button at the same time and then you can vape without turning on the screen. To lock the keys, you press the negative and positive button at the same time. That will lock the positive and negative buttons, but will still let you fire the device. Ok, so let’s get into the modes and the menu. To access the menu, click the fire button three times fast. You navigate through modes using the positive button. If you want to change options within a mode, you press the negative button while the screen is still blinking. Then you can change options with the positive button. In power mode, you can adjust your wattage from 1 watt to 200 watts. It goes up and down nice and fast. It’ll go in 0.1 increments until you hit 20 watts and then it moves in 1-watt increments, so for example, you can’t run this at 30.7 watts. Either 30 or 31, but nothing in-between. That should be fine for most people. I don’t even really understand why any device lets you move in 0.1-watt increments, because the difference is so minor, except for maybe at low wattages, so I like how Wismec designed it to work here. The only options you can change in this mode is what you want to show in the lower honeycomb shape at the bottom of the screen. 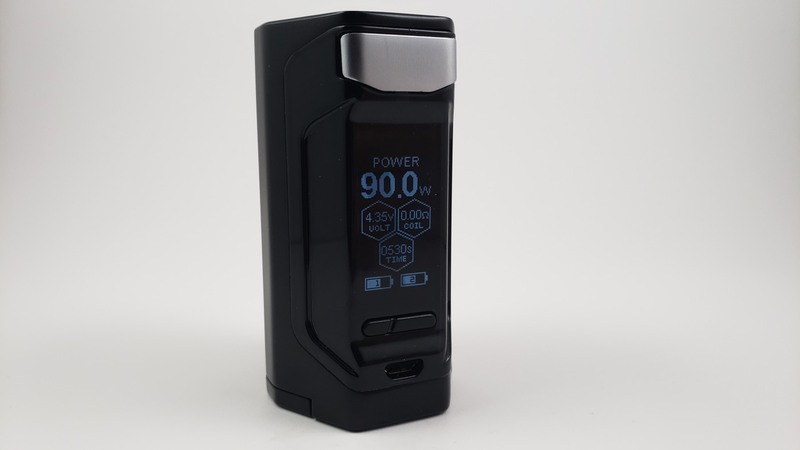 Amps, which tells you how many amps you’re drawing from the batteries while you vape. In temp-control, you can adjust it from 200 to 600 degrees Fahrenheit. When you reach either 200 or 600, you can press the up or down button again and it will roll over into Celsius mode if you like that better, and that goes from 100 to 315 degrees Celsius. You can also set the wattage that you want to start at, anywhere from 1-200 watts, before it stops at your desired temperature. And you can lock in your resistance, which you should always do when using temp-control. You do this while at room temperature, not while the coils are warm from being used. Since resistance can change after firing the coils, this tells the device what the real resistance is so that it knows how to regulate the temperature. And you can also change the same modes as the Power mode; Amps, Puff Counter, and Time. TCR mode works exactly the same as the temp-control mode except that you have three memory settings so that you can set the options for three different preferences. So this isn’t really TCR, which stands for Temperature Coefficient of Resistance. TCR is supposed to allow you to adjust the coefficient of a specific wire that’s not already covered in the presets. This should be called TC Memory Mode, not TCR mode. Unless I’m missing something, I can’t find any way to adjust TCR on this device. The DF also has upgradeable firmware, which is a nice plus. You hear this as a feature with a lot of devices these days, but most companies release so many products that they just don’t care to update their devices. Fortunately, Wismec is one of those companies who sometimes does. And they’ve already released an update on October 16th, 2018 that improves the temperature control features. And that update is available for both Windows and Mac. I don’t know if any other upgrades are in the works, but Wismec does them, so check their site every once in a while to see if new ones are out. 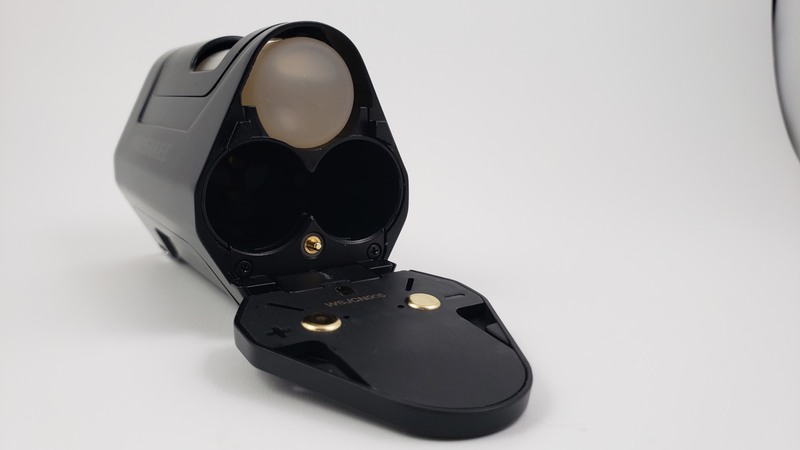 This takes two 18650 batteries and even though larger batteries are pretty popular these days, 18650’s, in my opinion, is about as big as you want in a device like this. Dual battery squonkers are big enough already. I think any bigger and it would just be too uncomfortable. The device does allow you to charge the batteries internally, so you have that option, but I always recommend charging in an external charger and even the Wismec manual suggests you do too. To change both the batteries and to refill the squonk bottle, you have to open up the battery cover on the bottom. You can’t access one or the other without opening the single door that accesses them both. 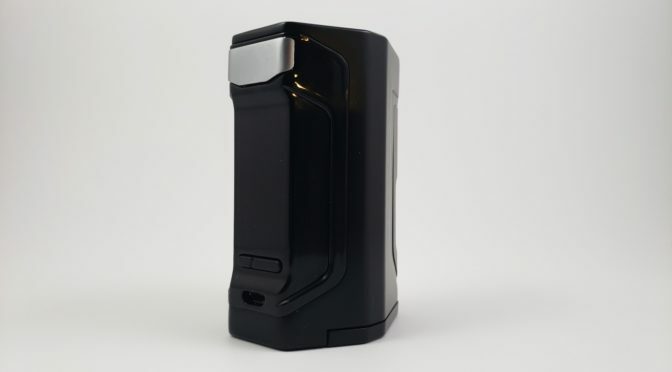 So last year, I was so close to buying the Geekvape GBOX 200 Squonker but the reason I didn’t was that they had this same type of battery door. I figured if I was going to buy another dual battery squonker, I’d rather get another Kanger Dripbox 200 just because it worked so well and the batteries and squonk bottle had separate doors. Well, I gave this one a chance and now that I’ve actually used this single door feature, I’ll tell you that it’s as bad as I thought. 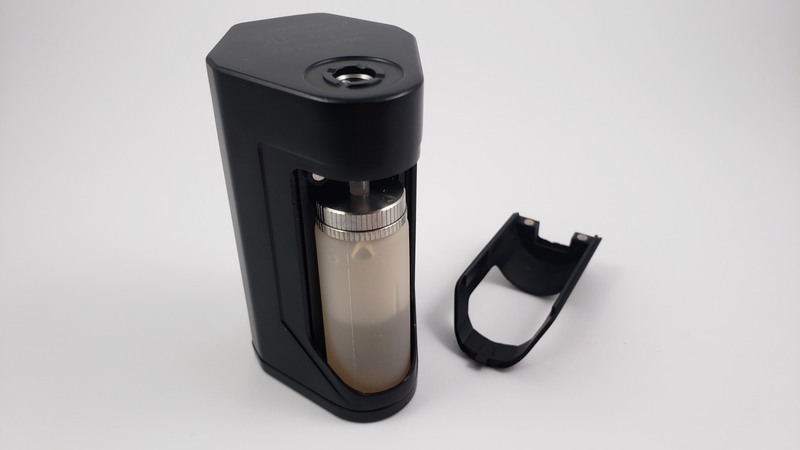 If you want to remove the squonk bottle to fill it up, the batteries will fall right out. And it’s happened to me a bunch of times. I think this is an extremely poorly thought out design. So like I mentioned above, to take the bottle out, you need to open the door on the bottom. But you also need to remove this squonk bottle cover from the front. I’ve gotta say, that’s also a bit of an annoyance. I don’t like having to take this extra step and I also don’t like that there’s a chance I could lose this plate at some point in the future and the device would look like crap. The bottle included with the DF holds 7ml of e-juice, so that’s nice, but typical of squonk devices so nothing special. I do like that it’s clear enough to see the e-juice inside. The bottle also has a nice squishiness to it, so it’s easy to use. It’s not too soft and it’s not too hard. Seems to work just right for me. Ok, so that’s it for the Wismec Luxotic DF. You better keep a tight belt on if you plan on carrying this around, but it’s no different than other Wismec products like the Reuleaux. But if you don’t mind the weight or the bulkiness, you’re going to like it. Having a regulated 200-watt capable squonking device is awesome. I’m a big fan of single battery squonkers too, but they really aren’t designed to run high wattage. You can, but the battery will die fast. But with this, you can hit high watts pretty much all day. 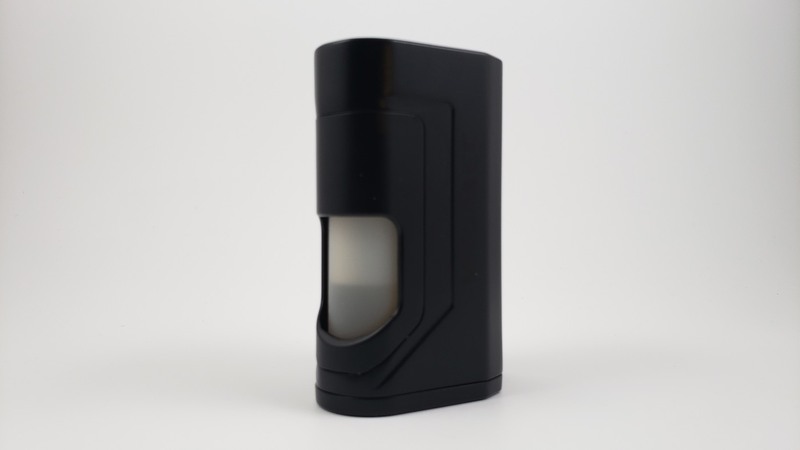 The biggest problem for me is that the batteries and squonk bottle are in a single door and it’s really annoying trying to get the squonk bottle out without the batteries also flying out. It might not sound like a big deal, but I think it’s really annoying. But overall it’s a nice squonking device. So that’s it! You can find it for around $50-$60 by itself or in a kit with the Guillotine RDA for around $70-80.